Stayed up last Thursday night to see the result of the Rochester and Strood by-election, absolutely fascinating for a number of reasons but at one point I tweeted about the slowness of the count and how I recalled many an evening on my feet watching other equally slow counts and was so pleased to be on my sofa for this one, flicking as I did between the BBC and Sky coverage to stave off the boredom. Firstly as someone interested in the use of social media it still surprises at the increasing importance of these things, quite quick and easy to use and to make mistakes, particularly for Labour’s shadow Attorney General Emily Thornberry who ended her shadow ministerial career with one of the shortest tweets possible and a picture. Crass, yes and apparently Ed Miliband was ‘Professor Angry’ not so much for the picture or words but because it touches at their real sensitivity about UKIP’s lesser success but still very worrying for Labour in gaining a tradition Labour working class vote in addition to the conservative right flank. Not to mention in a by-election where they hoped the headlines would be about UKIP and Conservatives but it turned out that they had the front pages to themselves, you just could not make this stuff up! But if you look at it another way it is even more damaging, to me the of the reasons some people are voting UKIP is not Europe, not immigration but because they look a bit more real and human that the Westminster Parties, they are not always on message, they make mistakes and some people like them for it, some people can more easily identify with them and that is important in politics, of course Farage knows and drives this home on a constant basis, but such an overreaction to one tweet rather makes the point for him. The turn-out at 50.67% was high for a by-election but well below a general election, the truth of the matter is that at the 2010 election UKIP failed to carry forward their 2009 European Election vote share, in May 2015 it will be fascinating to see if it holds this time as the general election arrives and importance of keeping Labour out hits home. Speaking of making mistakes, this week Mark Reckless was not beyond making a gaff himself having to ‘clarify’ his words on what would happen to European migrants if the UK withdrew from the EU, not that it overtly hurt him at the ballot box, which is my earlier point. However it’s interesting how these things are always expressed in terms of Europeans living and working in the UK (and of course what they really mean is ‘taking our jobs’) and little is spoken of the millions of Britons who live and work in Europe including a couple of my mates and their families, a small but important point, ‘quid pro quo’ and all that? During the course of the count Sky interviewed the Green Party Leader Natalie Bennett whom I shared a platform with a couple of weeks ago and as she spoke, her words seemed to confirm that the Green Party seem increasingly to be positioning itself to the left of Labour. Mark Reckless won but not of course with quite the sensational result of Clacton, but hey he’s no Douglas Carswell is he, nor is Rochester the same as Clacton, one small silver lining was of course the Liberal vote collapse with them getting dangerously close to polling less than the Monster Raving Loony Party. There is no doubt that UKIP do struck a cord with many people but in the white heat of a general election I suspect UKIP’s lack of a broad range of actual policies will, in part, be their undoing, equally as much as UKIP would like the election to be about immigration and EU membership, it won’t, it will predominately be about the economy and on that issue the Conservative message could not be stronger and Labour’s could not be more scary! Having said that it does increasingly look that, as life gets more complex, so does our politics and over the next few months the potential and debate about the smaller parties to be king makers on May 8th will have as much air time as the economy, Farage will argue that UKIP can hold the balance of power, so vote UKIP, but he will simply not have enough MPs with other bigger parties far more likely to be the king makers, whatever happens the next 7 months will be fascinating. Today is, for many, the start of the new school year and in some ways this is true of Local Government as well, this first week of September is when the Councillors come back after summer holidays and focus on the budget setting process. Of course just as soon as the previous year’s budget is put to bed the process starts again but the follow February always seems to loom larger once the summer is out of the way. Speaking of things that loom larger, this coming year is also election year at both the local district and national level. At FHDC we Conservatives are now firmly in the manifesto stage of looking at our strong track record of delivery over the past four years and just what can we put forward as our platform for the coming term and I hope to play a full and active part in that process. As always there are somewhat bigger issues about and principally South Yorkshire should be a focus for Councillors across the country as the failings of Children’s services at Rotherham and terrible abuse that has taken place is investigated, rightly it should have been the entire focus of last week’s domestic news agenda but as Harold Macmillan once famously said “Events, dear boy, events”, and last week’s surprise announcement by Douglas Carswell was certainly one of those. In some ways not that much of a surprise as he was the bookie’s favour to be the first to cross to UKIP, given his views, but it certainly was a moment. As Nigel Farage said in his various interviews last week it’s a defining moment for UKIP, some would say the Conservative Party but not me. Let’s face it beyond the decision to defect, Douglas Carswell decision to stand down and seek re-election is a calculated move. If he crossed the floor and did not go to the polls he would simply have been swept aside by a high general election turn out in a strong Conservative seat in 2015. Now he’ll use the by-election, the armies of political supporters it brings and the nature of by-elections so close to a general election being about sending messages to the incumbent government, to try to keep his job. 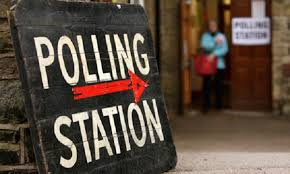 If the polling out there is to be believed and one poll had a swing to UKIP from Conservatives at 44% coupled with a lower turn out as always occurs, however much the various parties encourage people to vote, then he may well do precisely that. 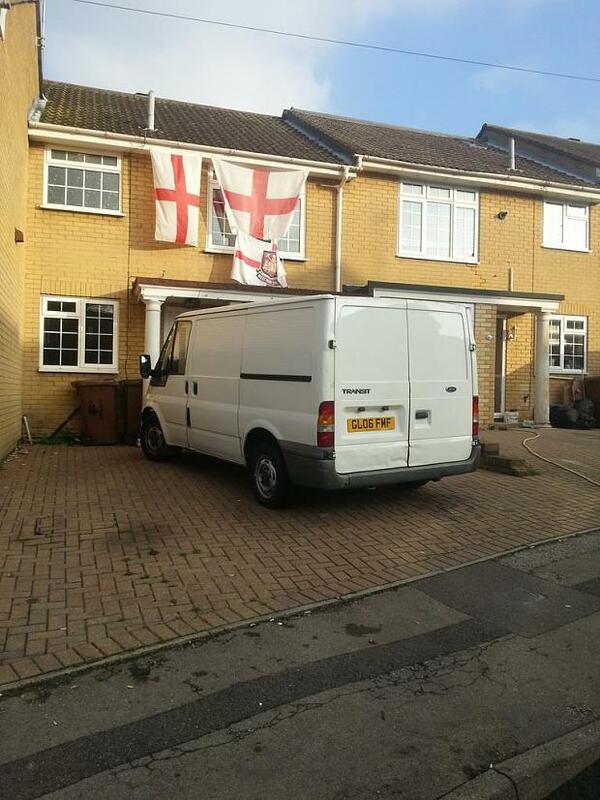 But that does not deflect from the core message residents of Clacton and voters across country have to face up to at the general election ‘Vote UKIP and get Labour’, by-elections are one thing but top slice the Conservative vote in marginal seats in May 2015 and Labour will be the only winners. One maverick MP, one by-election, all the excitement of the ‘political fairground’ that will be going on in Clacton however much it will fill the news agenda of the coming weeks does not change this simple fact. So for all the fun to come, the serious issue remains the Economy and the danger that 5 years after almost bankrupting this county the very same people are proposing to get the keys back. Equally Labour would not hold a referendum and anyone who wants the question of Europe resolved knows, as will take place in Oct 2017 if a Conservative Government is returned, we need a referendum. Firstly to allow David Cameron to have the leverage to re-negotiate terms and secondly for the issue to be put to the vote once and for all. A vote for UKIP in May 2015 would have the possibility to achieve the exact opposition of what UKIP want, what’s that saying – ‘it’s a funny old world’. 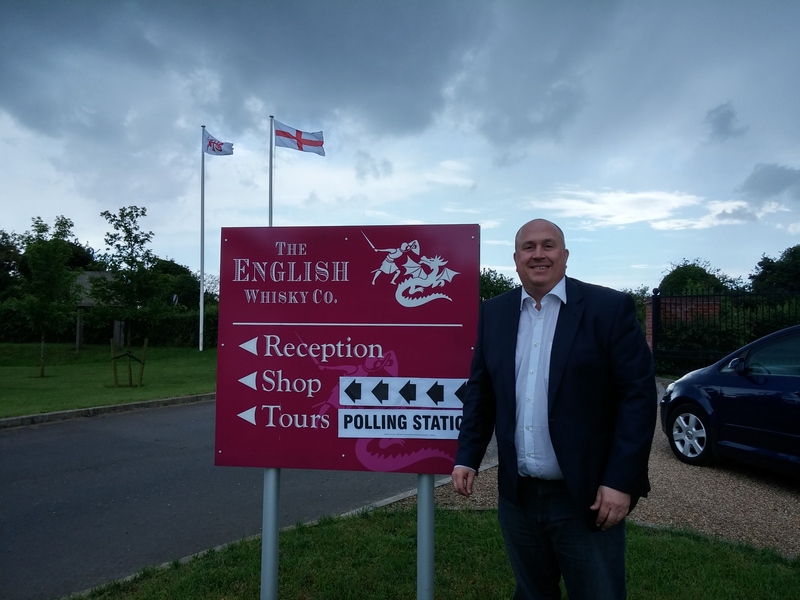 Early last Thursday morning I was out delivering election material to encourage residents to go and vote in the European elections. Then I had family duties taking my mum to Addenbrookes. 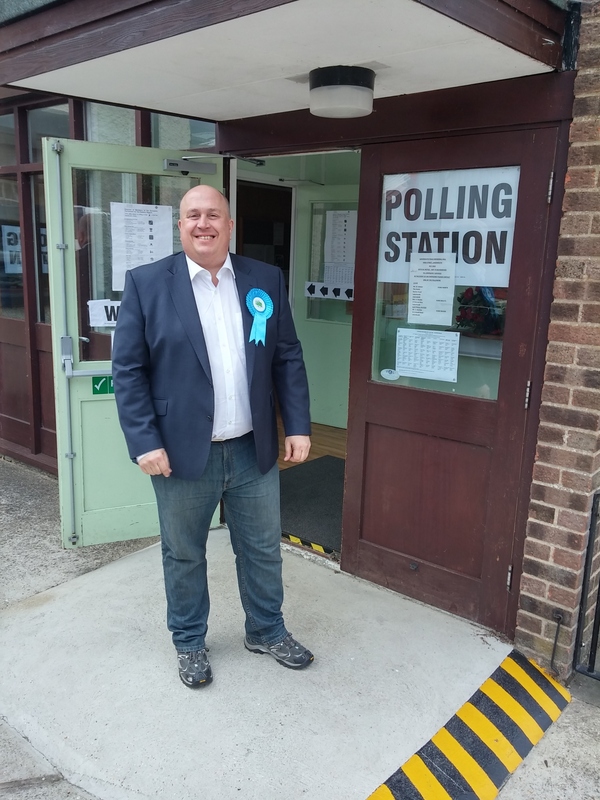 After that it was back to Lakenheath and a quick stop to pick up a colleague who would join me for the rest of the day and then looking in on the village polling stations to thank the staff for their efforts. Before heading off to Great Yarmouth to help with the Get out the Vote (GOTV) in the Euro and ‘by thirds’ Borough elections taking place. On the way there I took the smallest of detours (a mile off the A11) to see if the rumours of the what must be the best polling station in the country at East Harling were true, the best because it was situated in the English Whiskey Distillery Company’s shop and café, something about being able to vote and have a whiskey tasting struck me as very civilised. I did not partake but did have a quick look around the wonderful Malt Whiskey shop before back on the road to Great Yarmouth and a chance to meet up with Brandon Lewis MP and Richard Bacon MP for South Norfolk as they did the final part of the days campaigning and as we did the ‘knock up’ I got their reflections on how the campaign had gone. Once it got dark we stopped knocking on doors and after a quick bite to eat, not a ‘bit to eat’ as I miss-spelt in my final tweet of poll day, it was home to watch the results trickle in from the District and Borough elections taking place. It is of course not the same as it used to be when counts were always immediately after the polls have closed, with the majority now being counted on the Friday morning, but you still got a sense of the voting patterns. Sunday evening was spent at Newmarket Leisure Centre as the votes for European elections in the St. Edmundsbury and Forest Heath Council areas were counted and it was clear from the numbers that UKIP were having a very good set of elections but we Conservatives still polled large numbers of votes. Just before Midnight as I sat at home watching yet another election analysis show, it was declared that we had three seats, UKIP have three and Labour scrapped in with one. Essentially for the Conservatives it mean no change as that was the number at the last election, and I was really pleased to see Vicky Ford, Geoffrey Van Orden and David Campbell-Bannerman on the platform as the Eastern Region vote was declared. It was of course as shame we did not get more because I know the hard work the four others on our slate put into the campaign. Over the bank holiday weekend, lots of column inches have been written and hours of TV commentary produced but all in all what emerges is that people are concerned about immigration and migration and that the complex case for European membership on renegotiated terms is clearly a long way from convincing people that we should stay in. Interestingly across Europe and particularly in France there seems to be a push back against the eurocrats vision of a federal Europe. Of course for there to be that very debate, the Conservatives must win the General Election next year as a vote for UKIP then will simply see Ed Miliband’s in No. 10 Downing Street and the very thing ‘in or out’ people want to vote on in 2017 will not happen. For the Conservatives in the next year beyond convincing voters that in Councils across the country we actually cost residents less than Labour does, at the national level we need to convince them to vote Conservative. Monday morning I started to blog about last Thursday evening, when I went to the East of England Rural Hustings at the NFU Regional Office, jointly hosted by the NFU and the Country Landowners Association (CLA) and then got rather side-tracked into writing about Suffolk County Council’s Farm Strategy. What I was meant to blog about was the debate that took place between the candidates and the responses to the audience’s questions. Each of the main parties put up a candidate or in the case of the Greens a speaker in the form of my fellow Suffolk County Councillor Andrew Stringer. In fact Suffolk was rather well represented as my old sparring partner Labour’s Suffolk County Council opposition Leader Sandy Martin, who is number 3 on Labour’s slate, represented them. For the Liberals they put up their one MEP Andrew Duff, UKIP was represented by their MEP Stuart Agnew and for the Conservatives was Vicky Ford one of our leading MEP. So a reasonable heavy weight panel and they were faced with an articulate and knowledgeable group of Farmers. In many ways the debate settled into party lines. Andrew Stringer did his best but Greens do rather annoy hard headed farmers with their ‘agri’ peace and love messages when essentially farmers are more focused on crop yields. Sandy Martin held his own and made some reasonable points only slightly stumped when faced with more technical questions about the chemical controls emanating from Brussels. But the main battle was between the existing MEPs who clearly have spent their euro parliamentary careers in this sort of company and know how to weave their way through the industry specific issues and make their points about Europe and the European Parliament. And in some ways the themes on the night are the nub of the European question. On the one hand you have the ‘isn’t Europe great’ from the Liberals. Then there is the Europe is the root of all the ills in our wonderful country from UKIP and the if only we could control our own farm policy, UK farming would soak high about the clouds, but behind me there were distinct mumblings and less than polite words about Whitehall and DEFRA’s track record. As I have blogged before it is in this UKIP message that that if only we could run things ourselves all would be right with the world, that I disagree, it is too simplistic a view and sadly not quite borne out by the realities of life. From Vicky Ford came her usual whirlwind performance and a clear message that of course Europe is far from perfect, far from where we want it to be, but with a referendum looming we can, and will negotiate a different relationship, for our membership is too important for the federalists in Europe to risk our exit and we will forge a different relationship that only the Conservatives will then put to the people in a referendum to ‘lance’ this question once and for all. Tomorrow is poll day and as I usually do suggest at this time whatever your politics, whatever your views on Europe please do go and vote. It is a hard won right to live in a democracy and one we should respect by the simple act of voting. 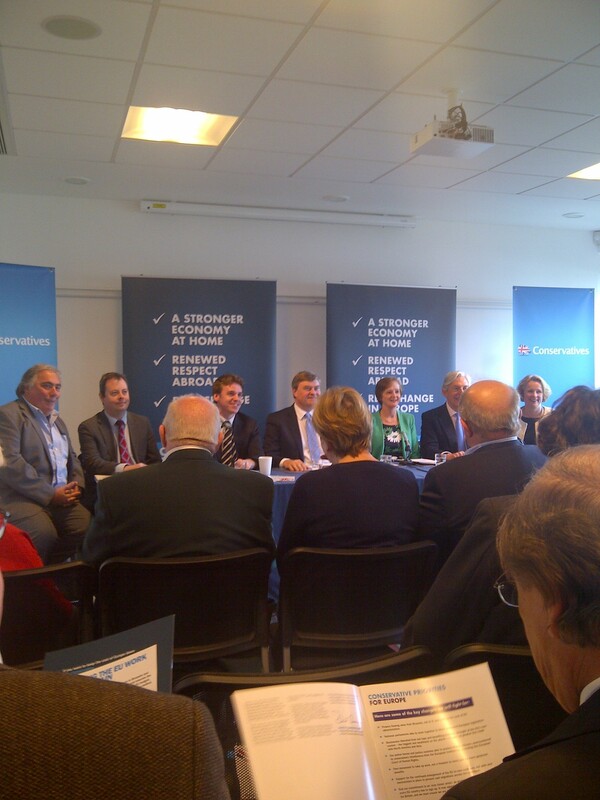 Last week I attended the launch of the Conservative Party European election manifesto in Cambridge and over the coming weeks I shall play my very small part in the election campaign, delivering the election material in my patch, working with Associations across Norfolk and Suffolk as they plan their activity with the European candidates and making sure the literature and our message is delivered across Norfolk and Suffolk. In my blog posts I have often commented on the rise of UKIP and how as the Conservative Party focuses on the middle the ground in national politics the space has been created for UKIP to gain on the right. I have also said I don’t see UKIP as a racism party but one that perhaps more touches a sentiment in the county about the pace as which our society and high streets are changing as other nationalities establish themselves in our communities, some ’Auf Wiedersehen, Pet’ style working here to send money back home and others coming here to live and raise they families, I have met both hard working cohorts in my division. At a local level in Suffolk away from European issues, UKIP as a party has established itself and from a party of one in the previous County Council they now have real strength in numbers (3rd largest party on Suffolk County Council) and they seem to be beginning to form local policies positions, i.e. they are maturing. But to my mind for all the frustration I and others feel at the pace of the County Council, it is Conservative values that must win through to protect front line services as this country goes through the necessary financial correction after 13 years of Labour’s fiscal madness. Somebody one said if you cut me in half (and many would like to!) like a stick of Blackpool rock it would say ‘Conservative’ through him and let me be clear, it always will. Back to the elections at hand, for me UKIP’s articulation is far too simplistic, the world and our place in it, particularly in respect of Europe is far more complex than they would have us believe. I have seen some all of their election material and have heard Nigel Farage in debate and as portrayed in some depth by the various political sketch writers. 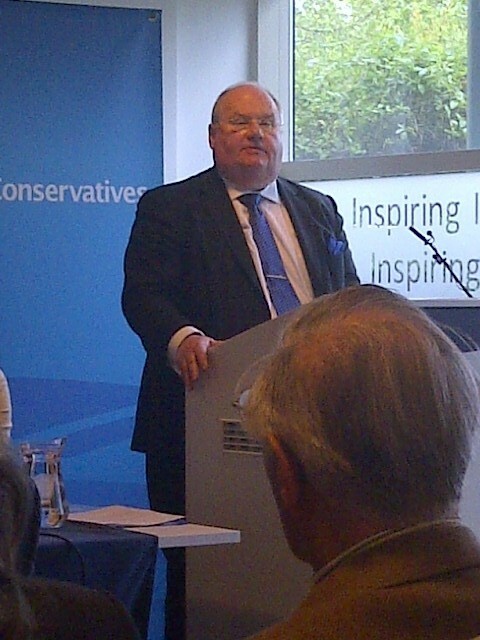 So as I watched Local Government Secretary of State Eric Pickles MP launch the Conservative manifesto, reading through it you see the gravitas with which the Conservative Party approach the subject. Now I am not saying this will carry the day as I, like most, expect UKIP to have a very good set of elections but only the Conservatives can delivery real change in our relationship with Europe and central to this is that only the Conservatives can deliver a referendum on our membership, whether you are in favour of ‘in’ or ‘out’ the delivery of a referendum will effect meaningful change to our terms and conditions of membership and then let the British people decide in a proper debate about how we see ourselves going forward. Whatever you think about Europe, there is no doubt that UKIP will have a good set of European elections here in the East. As I said in my blog yesterday the key for Conservatives rests on two things, one true of all elections and all parties getting our core voters out and the other I would say is how people view the Referendum promise. Last week in Haverhill’s St. Edmunds Borough Council by-election quite a lot of people vote UKIP perhaps beyond their simply articulation on Europe it is of course convenient to peg it to this or that but you can’t ignore 54% of the vote share and to do so is a mistake. On politics in general they, like liberals before them, do not have to deal with the complexity of actually having to potentially run the country and they seek to represent a point of view to return to some sort of ‘how it used to be’ and whilst I do not think they are a racist party, they do tap into a cohort of people who are a bit shocked at the pace of change they see in their community. I personally welcome all people if they can contribute to our communities and I think that predominately those who have made this area home are hardworking and add to the rich diversity of our communities by I do recognize the sheer change in our market town and high streets with the variety of ethic shops is tough for some in our community to get their heads around. Also I think it fair to say UKIP have, since the Liberals joined coalition government, become the party of protest, hovering up right wing conservative votes and liberals who are really a sort of protest cohort the liberals used to tap into but have found it increasingly difficult since they had to face the harsh reality of having to actually seek to delivery on some of their policies in coalition! And in this vein they seem to be picking up a, albeit smaller, cohort of Labour supporters who hark back to an imaginary better time. 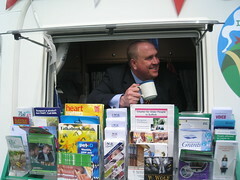 So how to engage the electorate in the coming election and how to get across the conservative message. Vote Conservative and signal we want to continue to work hard to reform the EU and that you want a referendum where you get to vote whatever your views, for it gives David Cameron the leverage he needs in Europe to renegotiate the terms of our relationship with Europe and then for the first time we the British people can fully and openly debate this subject properly, a debate which will be rigorous on both sides of the argument, which is precisely how we as a nation make good decisions. Vote UKIP and signal out and hang the consequences. But even if you do, whatever you do, do not vote UKIP in 2015 because you will simply let Labour win, we saw this in Norfolk and look what an absolute mess Norfolk County Council are in with its rainbow hiatus. Vote Liberal and err. I think it’s in or would you prefer out, we are nothing if not flexible in the pursuit of power, just look at their track record in coalition! 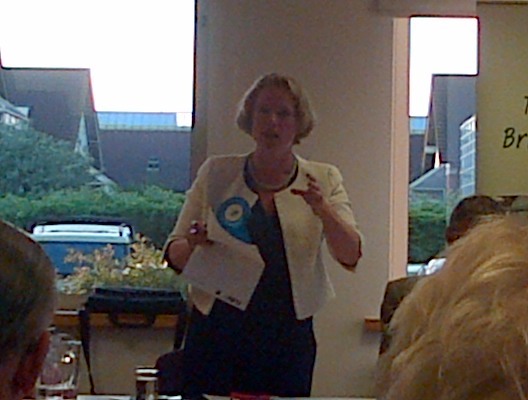 Last Thursday Vicky Ford MEP and Conservative candidate in May’s European Elections came and spent an hour talking through the campaign ahead with myself and fellow Suffolk County Councillors. Of course what will be a major political set of elections across Europe with high engagement and turn out will for any British political party with the exception of UKIP be a difficult set to motivate supporters to campaign and voters to vote. I have in my political involvement been fortunate to, I hope, have a reasonable understanding of Europe. Occasionally I work with East Anglia’s 4 Conservative Euro MEP, Vicky, Geoffrey Van Orden, Robert Sturdy and David Campbell Bannerman. In my opinion each of them work very hard and are absolutely committed to getting the best out of what is a very complex eco-system of how Europe works. Robert is retiring and I know his trade knowledge and committee work will be missed in the European parliament as will his hard work on East Anglia’s behalf. But as is the way of the world there are great candidates seeking to be elected in his place with the experienced John Flack and the youthful Tom Hunt to name but two of the rest of the conservative team. Over the past few years I too have had some small involvement being the inaugural Vice Chairman of a European think tank EUREGHA and seen its useful contribution first hand in Brussels. I have also been the County Council Cabinet Member in charge of a department as it went after a chunk of European funding some €275,000 of funding for a pan-European project on Active Ageing and I hosted a international Conference in Ipswich, so have seen first-hand and I value the collaboration that Europe provides in what are difficult areas of service delivery. So as we look forward to the Euro elections it will be interesting to watch the positioning at Westminster as each party attempts to suggest there is but the only course on this difficult question. I suspect that the key for us Conservatives rests with the Referendum and whether people vote UKIP because they want out, as is UKIP simply articulation on the subject or as a move to drive home to David Cameron that he must have one, a strange battleground but such is life.